For over 20 years a technique called the Graston Technique has helped many people overcome soft-tissue dysfunction and chronic pain. This is a treatment that makes use of stainless steel instruments to mobilize soft tissues. This type of treatment is performed in chiropractic offices in many areas. Sports organizations, colleges, universities, and hospitals also make use of this technique. If you are in the area, visit Rocky Hill Chiropractic for a chance to discuss this type of soft tissue treatment. It will help you break down inner scar tissues and help you obtain a greater range of motion. 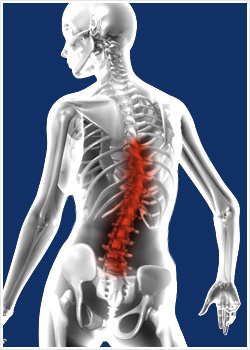 Most of all, the Graston treatments will allow you to be free of chronic pain. You can get treated optimally in a matter of weeks with this technique. Many patients often wonder just how long they have to go to their chiropractor for relief from the pain that immobilizes them. With this technique, a patient can go for treatment once or twice a week for about a month to get relief. The actual number of sessions and time for treatment does vary and it depends on the individual patient and his or her injury or scar tissue. Some chronic conditions require about 12 treatments before true relief is felt. The Graston Technique was developed over years of careful study. It developed with the help of athletes but the originator is believed to be an orthopedic surgeon who created his own method for cross-fiber massage. 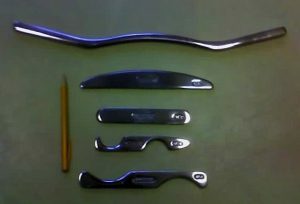 The use of the instruments is exclusive to the founders of the Graston Technique which is a registered trademark. The instruments and the use of them have been a part of the manual therapy world for over two decades. It has been proven to work. The benefits, of course, include immediate and long-term pain relief but there are others to note when deciding upon a route to take for your own care. The chiropractors at Rocky Hill are happy to discuss your personalized treatment route. Should you choose to get the Graston Technique you can expect to receive full relief in much less time than you might expect. You get a faster recovery from injuries with this technique and much less of a need for medications like anti-inflammatories. If you have ever been told that your injury or pain is something you may have to live with consider getting the Graston Technique. It is capable of resolving situations that many doctors would otherwise deem permanent. It works to stretch out muscles and connective tissues, fully resolving pain and motion issues. It can increase the flow of blood as well as cellular activity. For more information about this technique, and to see if it is the type of treatment right for you speak to a local chiropractor. Do not feel that you must put up with pain for good. You can fully heal with this and other modalities. This technique, however, has been proven scientifically to target the sources of pain and thereby successfully relieve it. See If The Graston Technique Can Help You By Clicking Here!